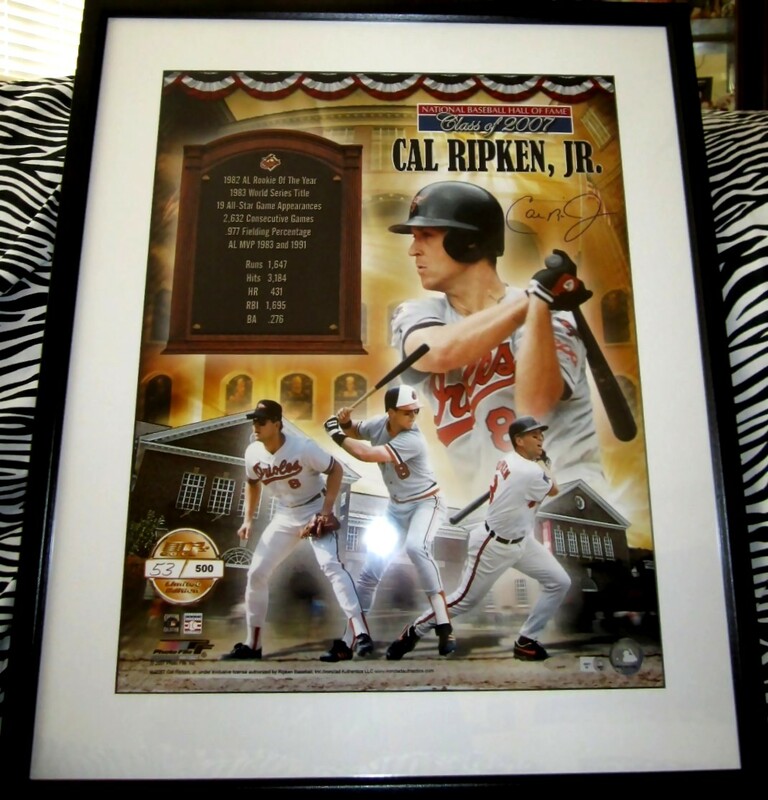 16x20 poster size montage photo commemorating Cal Ripken being inducted into the Baseball Hall of Fame in 2007 autographed beautifully in blue marker, matted in white and framed with plexiglas in black, ready to hang with attached sawtooth hanger. Hanging hooks and wire are NOT INCLUDED but NOT NECESSARY. 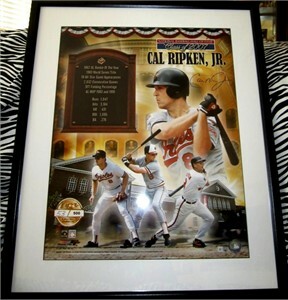 Authenticated by Ripken's company Ironclad with their matching numbered holograms on the photo and their certificate of authenticity card. ONLY 2 AVAILABLE FOR SALE.